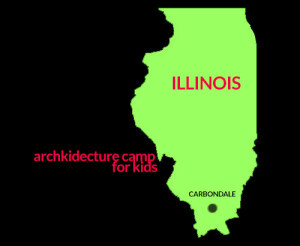 Two architecture camps are planned for this summer 2015 for kids grades 4-6 and 7-9 as well as high school kids, grades 9-12. at Southern Illinois University in Carbondale Illinois. Far south in the great state of Illinois, (quite far from Chicago – our hometown,) is a state university where an excellent design camp has been held for years. Kids from around the country come and spend time studying aspects of design including, how and why do we define space? What does an architect do? Design drawing as a problem-solving tool. And much more. Go to the SIU Camp website and see more details. Kudos to the team at SIU for their hard work in creating this program and lucky you who get to attend!